When one of his subjects, Luis Candela, was detained by ICE, Klein decided to get involved. Daniel Klein set out to shoot a docuseries about immigrant food. Then, one of his subjects got detained by U.S. Immigrations Customs and Enforcement, or ICE. He had to choose whether to maintain his objectivity, or to get involved. The filmmaker—probably best known for his James Beard Award-winning web series The Perennial Plate—decided to promote a GoFundMe page to raise bail for Luis Candela. Candela was arrested January 17 in New Brighton, Minnesota, after being followed to work. He is currently being held at Sherburne County Jail in Elk River, MN, according to his GoFundMe page. Though the campaign has been successful in meeting its $10,000 goal for bail, Candela has not yet been released due to legal complications. In the meantime, his wife Sandra has stopped going to work for fear that she’ll also be taken into custody, leaving their three daughters alone. She’s currently without income. Condela says that ICE agents have been spotted outside their mobile home in New Brighton, Minnesota, a Twin Cities suburb. “If ICE is going to get me, they are going to get me,” she says in Spanish, in a video filmed for the campaign. 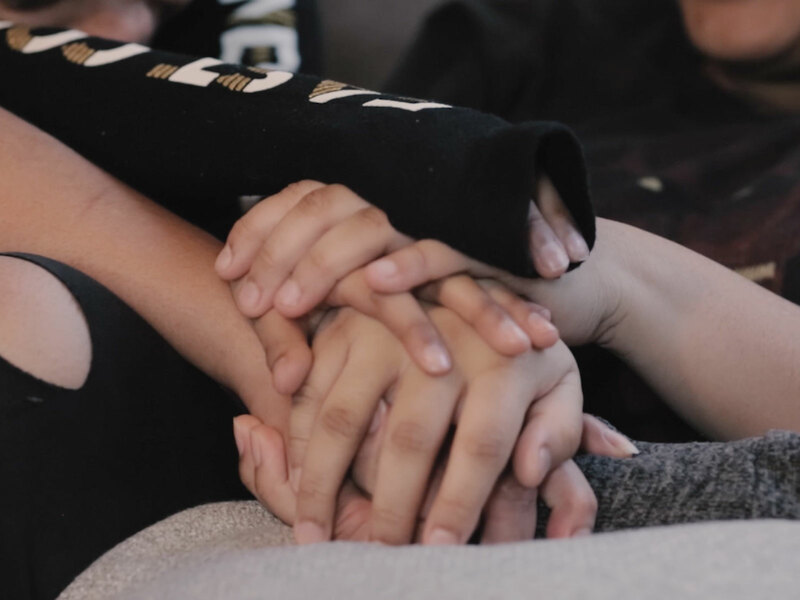 “It would be very hard [for my children] if they took both their parents… But let it be when my husband gets out.” Currently, the family is waiting for word from their lawyer as to what next steps will be. There should be some sort of movement in the case in the next two weeks, Klein guesses. In the meanwhile, Candela remains at the nearby Sherburne County Jail. Klein first connected with Candela and his wife Sandra Gonzaga Perez while working on his Resistance Through Storytelling Project. A response to heightened xenophobia, the project’s goal is to portray non-negative stories of U.S. immigrants: that is to say, not tales of crisis or crime, but of daily ritual. The stuff that doesn’t make the news: kids’ sports games, family dinner conversations. Five 20-minute films will each feature the dinnertime meal of a different family, with origins like Somalia, Mexico and Sweden. Now, here’s where it gets interesting. These five short films will then get cut down to social-length video snippets, and Klein will attempt to promote them towards politically conservative audiences on Facebook. By running ads leading up to the 2020 election—targeting location (swing states, for example) and interests (like John McCain)—Klein hopes to expose key voters to the nuances of immigrant lives. Of the over $52,000 raised for the project’s Kickstarter, half will go to funding Facebook ads; the other half will go to production costs. Resistance Through Storytelling arose because Klein, a longtime filmmaker, felt that food and travel media often has an unspoken but obvious political slant. Even though the genre is sometimes thought of as lifestyle fluff divorced from “real” journalism, food media has been increasingly forced to acknowledge politically-charged aspects of food production and the restaurant industry—both of which heavily rely on immigrant labor, for example. “I see Eater and Food & Wine being very empathetic to people behind the scenes in the food industry, like dishwashers, etc.,” says Klein. Some people would call this a problem; others would call it journalists doing their civic duty. Either way, the words, quotes and sources used when reporting on these stories—and the fact that they’re chosen to be reported at all—contain inherent bias. He recalls how The Perennial Plate’s demographic has changed as he’s pivoted from American farmer stories to global food explorations. “When we were doing salt of the earth stories centered around the farming movement in America, we attracted a viewership with a libertarian bent,” he says. “As our films became more and more international, our crowd became more and more liberal.” This is an anecdotal observation on his part, but he feels it’s pretty well-founded. While this isn’t surprising—the idea that a pro-immigration audience may be more likely to inform themselves about non-Western cultures—in some ways, it is. We’re taught that food is this neutral space, relegated to the domain of pleasure and divorced from political context. But different food and travel shows definitely have varying socio-political demographics, Klein observes. Chef and travel show host Andrew Zimmern, for example, has a pretty broad viewership, he says. When Zimmern—also based in Minnesota—shared Klein’s post about Luis Candela on his Facebook page, Klein feels the response was more negative than when Klein posted it on his Perennial Plate page. The top comments on Klein’s post—the ones Facebook deems most relevant—were also negative, but there seemed to be proportionally more positive comments overall. Klein attempted to respond to the more critical ones. There’s an irony here: while anti-deportation audiences tend to see Candela’s video and be moved to empathy—“That’s so unjust”—the very same snippet supports the existing beliefs of pro-deportation audiences—”Immigrants break the law. They deserve legal consequences.” One side sees it as justice failed; another sees it as justice upheld. Thus, Klein feels, we don’t have to just get the narrative in front of new audiences; we have to change the narrative itself. “We want to focus on things that people do have in common,” he says, “like children and sports and hard work and hardship. Sports and food show us we’re all the same, and hard work and hardship are a way of building up empathy and respect.” To that end, his new series will be less food-focus than his previous episodes at Perennial Plate. “I feel manipulative sometimes,” Klein says. But the reality is that even the most unbiased journalist is constantly framing the story through incremental choices like these. So far, one film out of the five in the series has been shot in its entirety. It’s called Brother, and it traces the relationship between a U.S. soldier and his Afghan translator. It’s been submitted to film festivals and should be available to be viewed on The Perennial Plate website come spring. It’ll also be available on its own website, however, because Klein feels it’s important to have it presented without the clearly anti-Trump context of Perennial Plate. As for Luis Candela, his next hearing date is scheduled for March 5.